Nothing is more sleek than a white bathroom. It’s elegant, timeless and represents cleanliness – it’s everything you would want in a bathroom, right? 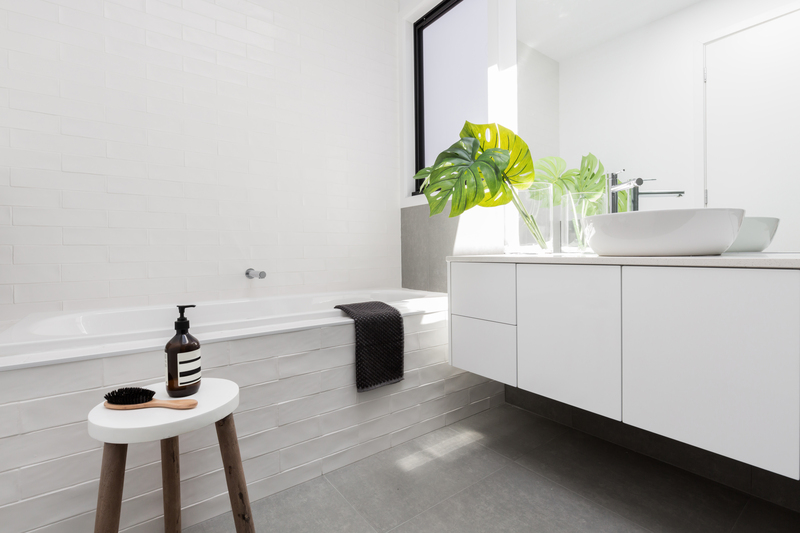 White themed bathrooms with concrete polished floors are the ultimate style statement – a theme that can be applied to a range of home designs, for all of your styling needs. The use of white themed bathrooms with concrete polished floors inspires calmness, cleanliness and purity – with a twist of an industrial feel, something that will always remain in style. There are so many ways that you can re-style an existing bathroom with the colour white – through little improvements across time; from new window furnishings, decor such as towels and candles, through to stunning feature lighting pendants – little bit, but little bit, you can really transform an existing space into a style focused room in your home. Your home is an investment, something that you want to style and maintain in such a way that sparks enjoyment for everyday use, and can offer appeal to future potential buyers. By selectively investing in major renovations throughout your home, such as the addition of concrete polished floors, you’ll be increasing the resale value of your property through a timeless design of your home. Using white themed bathrooms with concrete polished floors is the perfect inspiration for your next interior design refresh. Not only will you feel refreshed with the colour pallet and tone of choice, you’ll also be creating a room in your home that everyone will be in awe of. The bathroom in any home is an area that has various design considerations – picture yourself enjoying a relaxing shower or soothing bath in a clean and fresh design. Or simply waking up in the morning, heading into the bathroom to wash your face and starting your day with a sense of calm from the natural lighting glistening onto the polished concrete flooring, and white themed decor. It really is relaxing idea. So what are you waiting for? It’s time to revitalise your bathroom space! Think white themed bathrooms with concrete polished floors for your next home renovation. 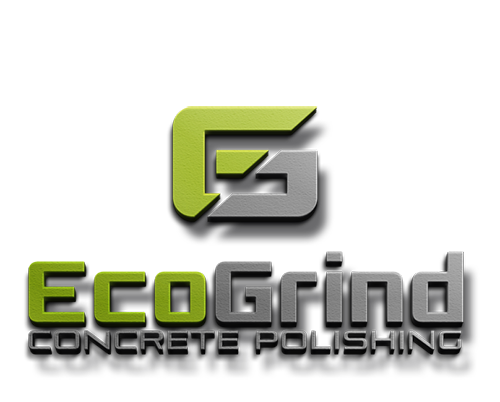 Contact eco grind for all of your concrete flooring needs!